Boiling Springs Member Loses 80 lbs. with Help From Workout Anytime! Nearly two years ago, Kate Koronafy looked in the mirror and didn’t recognize the woman staring back at her. She weighed more than 200 pounds and knew she wanted to make a huge change but didn’t know where to start. Koronafy’s dad was diagnosed with Dementia and his health taking a turn for the worst made her realize how short life is. Soon after, she decided to start making healthy food choices and decided to join WORKOUT ANYTIME. “I had heard so many great things from people in the community, about how helpful the staff was and how passionate they were to help members transform their lives. I knew as soon as I walked in those front doors, it was the perfect place for me,” Koronafy said. Since January, Koronafy has lost more than 80 pounds and has never felt more comfortable in her own skin. Koronafy says it took a lot of dedication and hard work, but that the hardest part will be keeping the weight off which is where WORKOUT ANYTIME comes in. She says she’s become really close with the staff, as she sees them every day and they keep her inspired and on the right track. “I had been to other gyms before, but they were just gyms. At this gym, I’m with my family,” Koronafy said. “She has dedicated her heart and soul to being healthy. It’s a journey, and staying healthy is a decision she has to make every day. I couldn’t be prouder of her,” WORKOUT ANYTIME Manager DJ Jordan said. Koronafy hopes that people in her community struggling with weight will be inspired by her story to make a change. 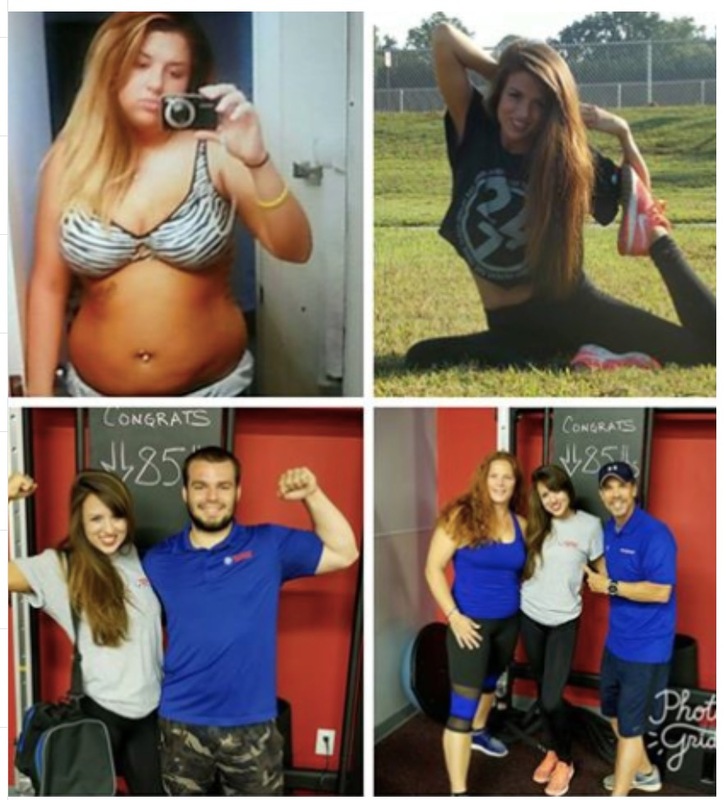 She says all it takes is one moment when you decide to take control of your health. “It’s hard to get that start, but if you can set your mind right you set yourself up for success,” Koronafy said. WORKOUT ANYTIME is located at 1915 Old Furnace Rd, Boiling Springs, SC 29316. It provides members with a first-class fitness facility at the lowest cost possible.